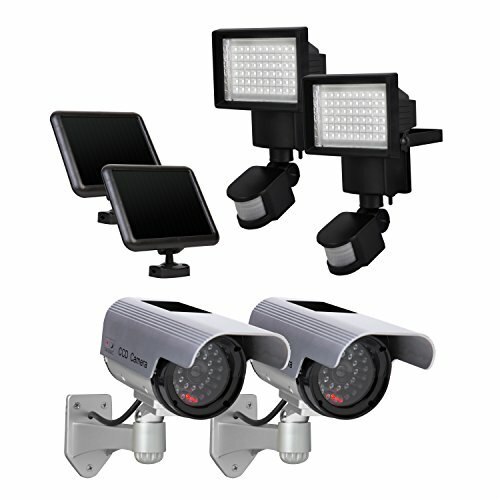 The Sunforce Solar Security Kit keeps your home safe by using the power of the sun to light any dark area with two Sunforce Solar Motion 60 LED Security Lights and add extra security with two Sunforce Solar Decoy Cameras. 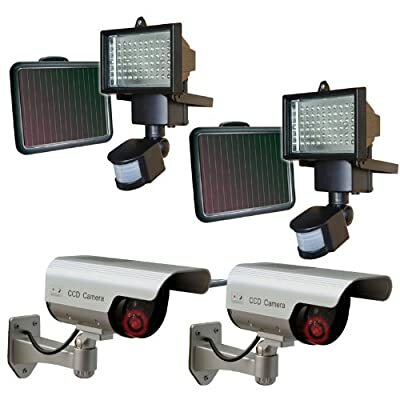 60 LED Solar Motion Lights using the power of the sun, light any dark area and add extra security with the Sunforce Solar Motion 60 LED Security Light. 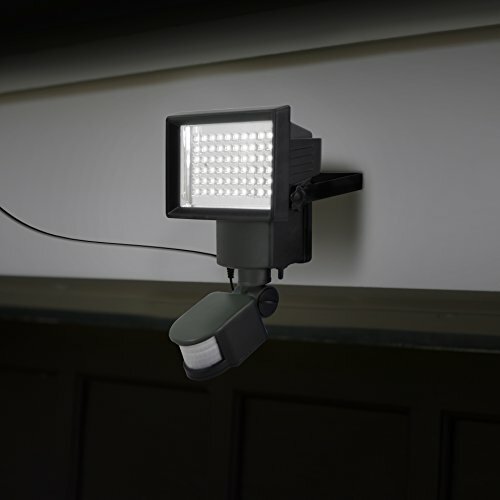 The 60 white LED lights, which automatically turn on when motion is detected will brighten up any outdoor space, making it ideal for remote locations, garages, pathways, sheds, security and lighting dark areas. Solar Decoy Cameras made with a blinking red LED for added authenticity. 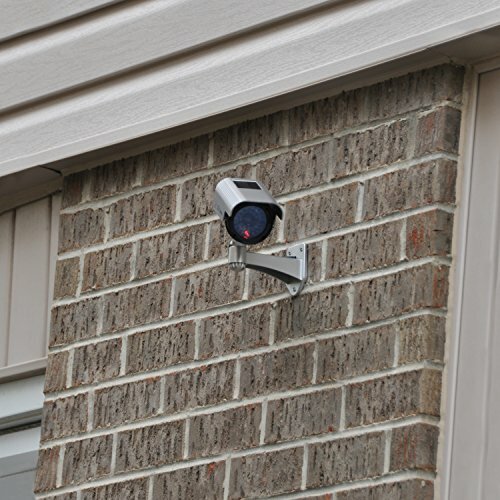 The Sunforce Solar Decoy Camera will protect your home or business from theft and vandalism anywhere, anytime. With no wiring required, this unit is easy to install and completely maintenance free. The LED light can be powered by the solar panel or batteries (not included). For added convenience, this unit can be used both indoors and outdoors. Both units are easy to install and are maintenance free.